Keylime Toolbox is robust software that provides key SEO metrics and analytics. Our software tools measure what matters and give you actionable insights for improving qualified traffic from unpaid search. Data from Google Search Console (formerly Webmaster Tools), Google Analytics, and server logs come together to show you the complete SEO picture: from crawling and indexing to ranking and engagement on the search results page. Our tools recover the “not provided” missing queries and segment all queries into topic areas so you can measure branded vs. unbranded search efforts, as well as understand how each unbranded topic area performs. Keylime Toolbox is brought to you by Vanessa Fox and Jeremy Wadsack. 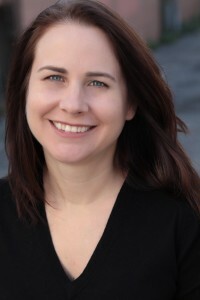 Vanessa was a key creator of Webmaster Central when she worked at Google and in a lot of ways, Keylime Toolbox is the evolution of the work she did there. While at Google, Vanessa took the information she learned from working with Google search engineers along with her past experience in web site development and audience analysis and built tools and education that site owners needed about Google search. She crafted the first version of the Google webmaster help center, managed the webmaster blog, launched the webmaster forums, and led feature development in webmaster tools. 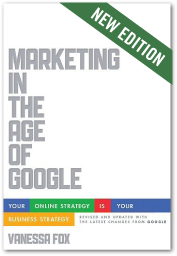 Post-Google, Vanessa wrote Marketing in the Age of Google, which outlined her philosophy of ranking well in search engines by understanding audiences and solving their problems. She launched Nine By Blue, where she helped hundreds of companies with search strategy and technical SEO. She also created the Blueprint Search Analytics software, which she later sold. She’s also continued to write and speak about search to audiences around the world. 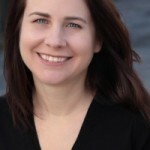 With Keylime Toolbox, she aims to bring common sense SEO resources to everyone. Jeremy has been instrumental in building top technology products and teams over the past two decades. He has launched several companies spanning computers, custom software, mobile apps, and outdoor sports. He also headed technology at a couple of startups in music and nightlife. Before building Keylime Toolbox, he worked with Vanessa to launch Blueprint Search Analytics.